Ron Noon explains the birth and examines the impact of a potent symbol of free enterprise. History’s most famous sugar lump was ‘Mr Cube’, an animated cartoon character born in July 1949 in a climate of grey austerity, rationing and contentious nationalisation proposals. 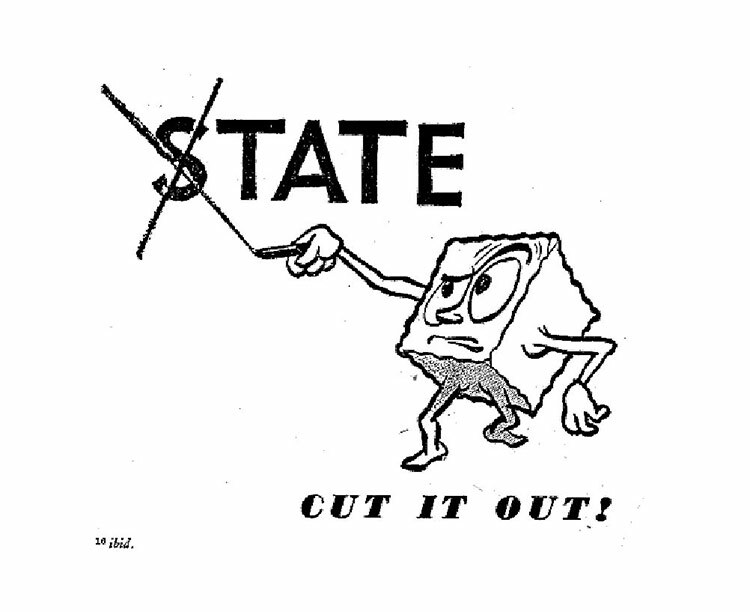 Mr Cube became sugar’s brand image, the company logo of Tate & Lyle and a symbol of political embarrassment and electoral setback for the Labour government in the February 1950 General Election. Peter Runge, the company’s campaign strategist, has recalled how ‘we were strongly advised to have a cartoon character who, if he caught the public’s imagination, could say the most outrageous things and get away with it, and who could act as a buffer between the public and Tate & Lyle’. Brandishing his sword of free enterprise and protected by his T&L shield, Mr Cube would ‘say sensible, cogent or outrageous things’ with appropriate grimaces and gesticulations, allowing Tates to ‘concentrate on attacking the Socialist policy in a somewhat more dignified manner’.